It's Amitabh Bachchan's 75th birthday and wishes have been pouring in for the megastar on social media since early morning. 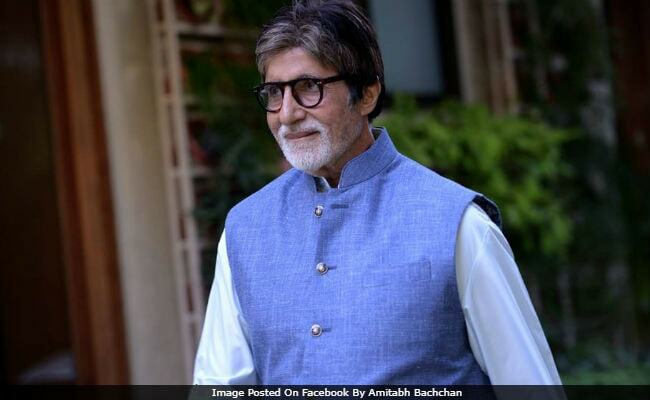 President Ram Nath Kovind, Prime Minister Narendra Modi, Bollywood celebrities like Ranveer Singh, Esha Deol and cricketers such as Sourav Ganguly, Virender Sehwag and Suresh Raina have wished Big B on his special day. 'Happy 75th Birthday AB Sir' has been trending on Twitter since morning. "Birthday wishes to Amitabh Bachchan, film icon as well as unstinting advocate of social causes & nation building missions," President Kovind tweeted a few hours ago. Here's what he wrote. "Happy birthday @SrBachchan! India is proud of his cinematic brilliance & support to many social causes. I pray for his long & healthy life," tweeted PM Modi. Meanwhile, actor Ranveer Singh, a self-proclaimed fan of the superstar, declared October 11, Big B's birthday, as 'Amitabh Bachchan Day.' He tweeted a picture of himself with Big B and wrote, "Happy Amitabh Bachchan Day to all!" Esha Deol, daughter of star couple Hema Malini and Dharmendra, posted a picture with Big B and tweeted, "Happy birthday to the one and only Amit ji @SrBachchan wishing you good health and happiness always." Sourav Ganguly, Virender Sehwag, Suresh Raina also posted wishes for the superstar. Badminton player PV Sindhu, who appeared on Big B's popular reality show Kaun Banega Crorepati 9 last week, tweeted a picture with him from the sets of KBC 9 and wrote, Wish you many many happy returns of the day sir. You truly signify that age is just a number. Happy birthday sir." Amitabh Bachchan along with wife Jaya, son Abhishek, daughter-in-law Aishwarya and granddaughter Aaradhya flew to Maldives on Tuesday afternoon to ring in the 75th birthday celebrations. Amitabh Bachchan was last seen in 2016's Sarkar 3. He has films like Thugs Of Hindostan, 102 Not Out and Padman in the pipeline.